Judging from the number of phone calls and emails we have been receiving, it sounds like you can’t wait for our patio to re-open this season. Further to some health and safety concerns and after considerable consultation with our liquor inspector, we have decided to operate the The Oven at Upper Bench as a wine bar. As a result, we are now licensed as a Liquor Primary establishment and therefore are unable to accommodate minors on our patio. While we are aware that this may upset some of our patrons, we believe that this will create a more peaceful environment in which to enjoy our fine foods and a glass or two of wine in the company of other adults. 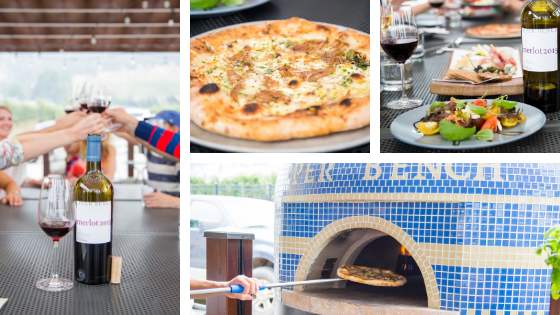 Our spring menu will include small plates, salads and, of course, our authentic Neapolitan-style pizza featuring our own Upper Bench cheese. Bring someone you’d like to spend some time with and we look forward to welcoming you to The Oven Wine Bar soon. Stay tuned for our opening date! Please feel free to email us with any questions about this news. We sincerely thank you for your continued support of Upper Bench!